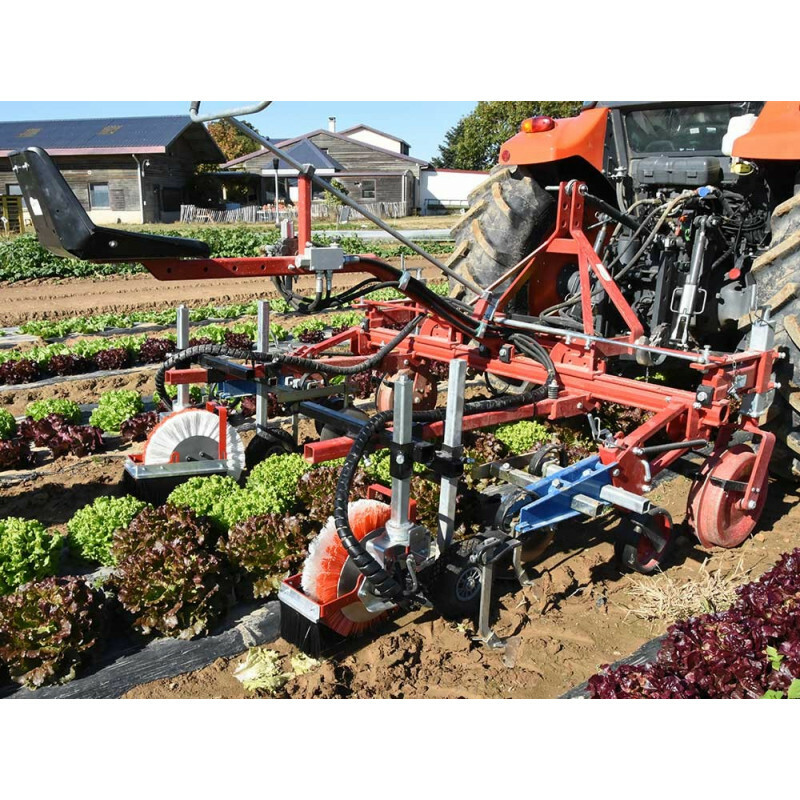 This hoeing machine is made from a standard hoeing machine chassi with manual steering on which we mount hydraulically driven rotary brushes on parallelogram frames to finish off the hoeing at the edge of the plastic mulch. 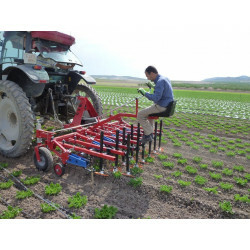 This brush is composed of different levels of bristles so that the abrasiveness of the brush can be adjusted according to the thickness of the plastic mulch. 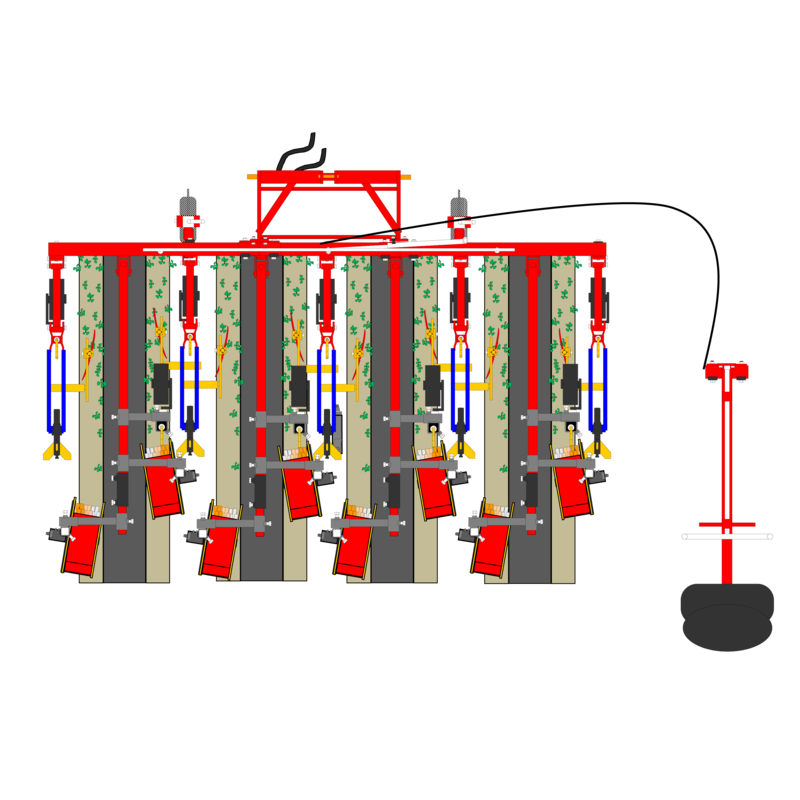 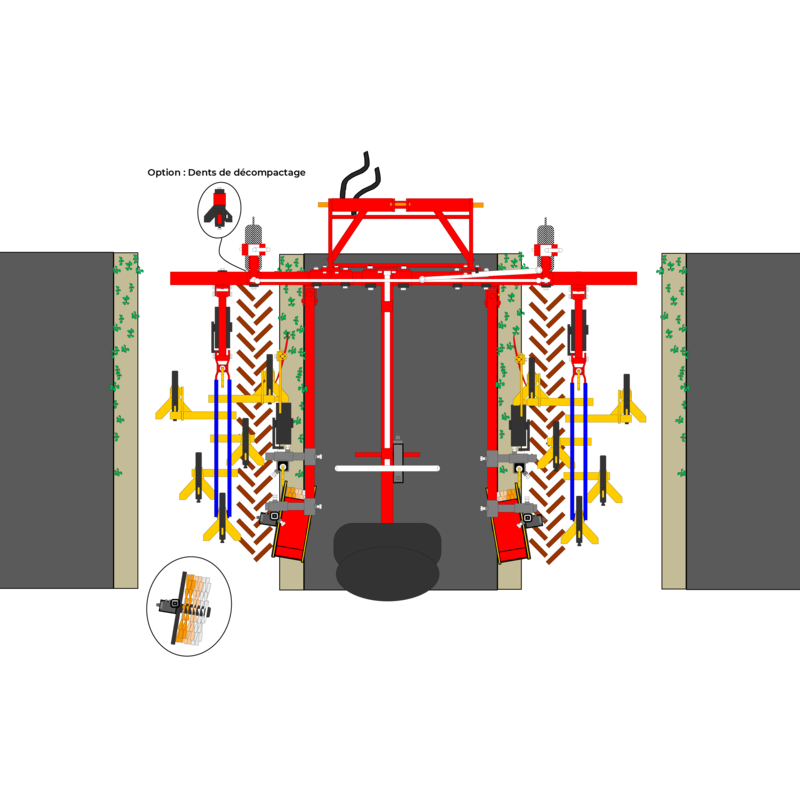 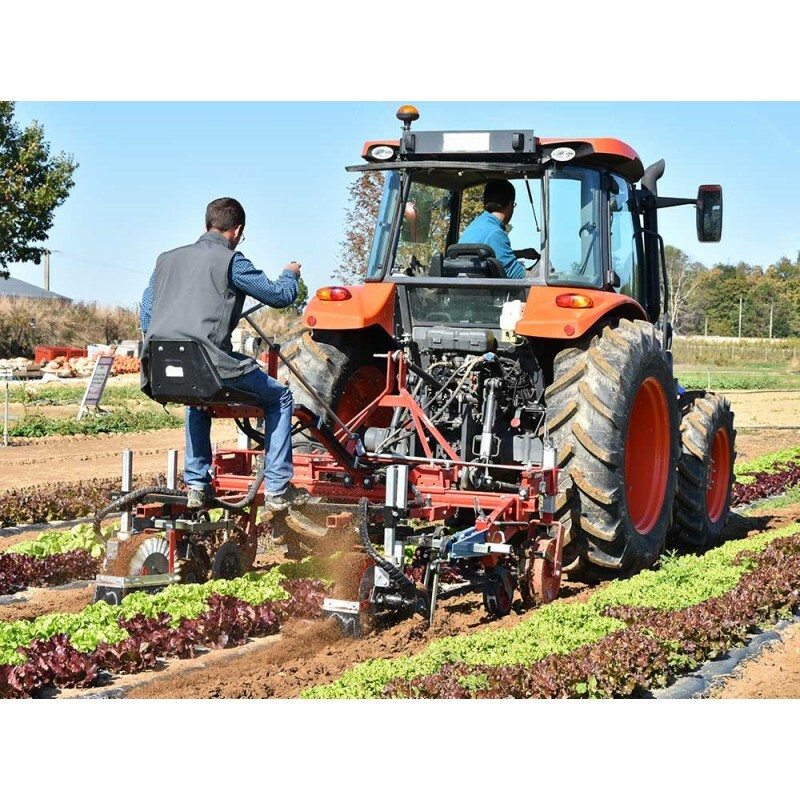 These elements have a wide range of settings corresponding to the different practices of producers and the different machines used to lay plastic mulch. 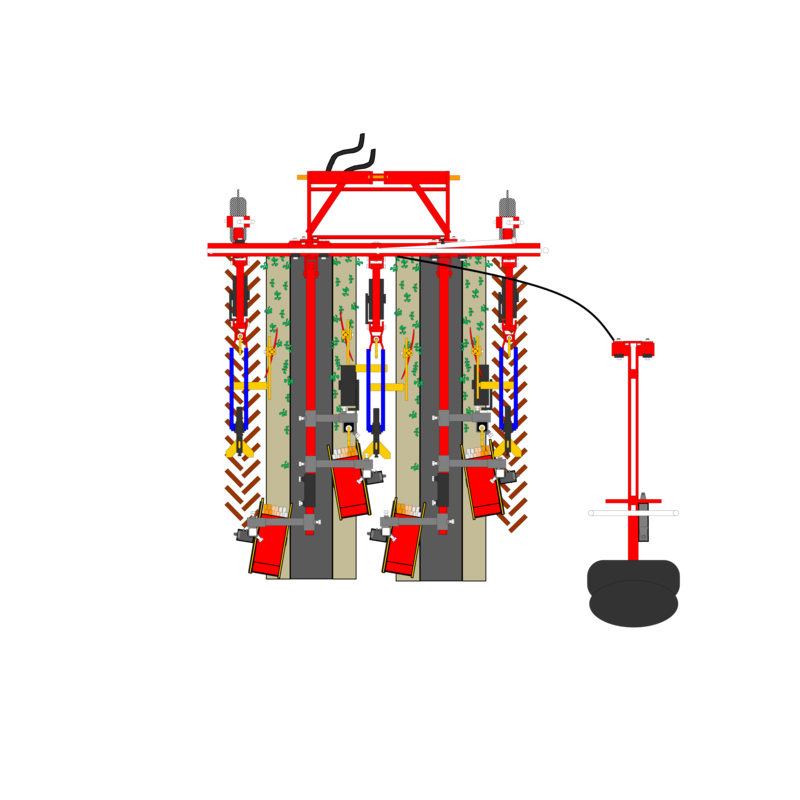 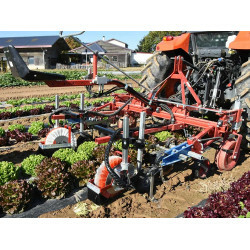 This hoeing machine can be used on plastic, woven and geo-textile mulch as well as on biodegradable mulch. 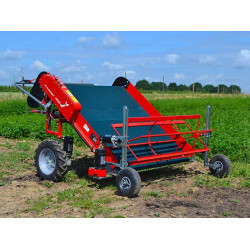 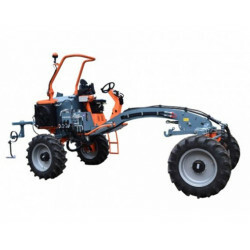 It can be adjusted for all widths of mulch ranging from 90cm to 220cm. 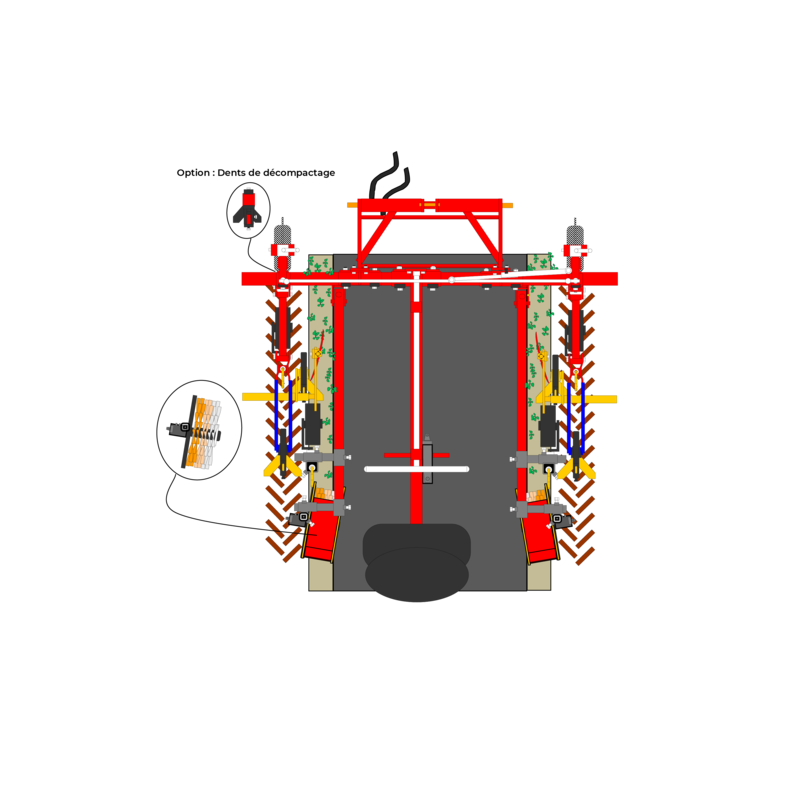 It can be used flat or on a Cultirateau bed. 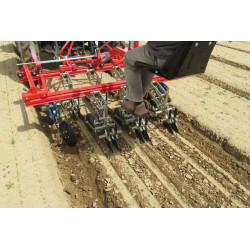 Just adjust the angle of the brushes so that they are parallel with the ground. 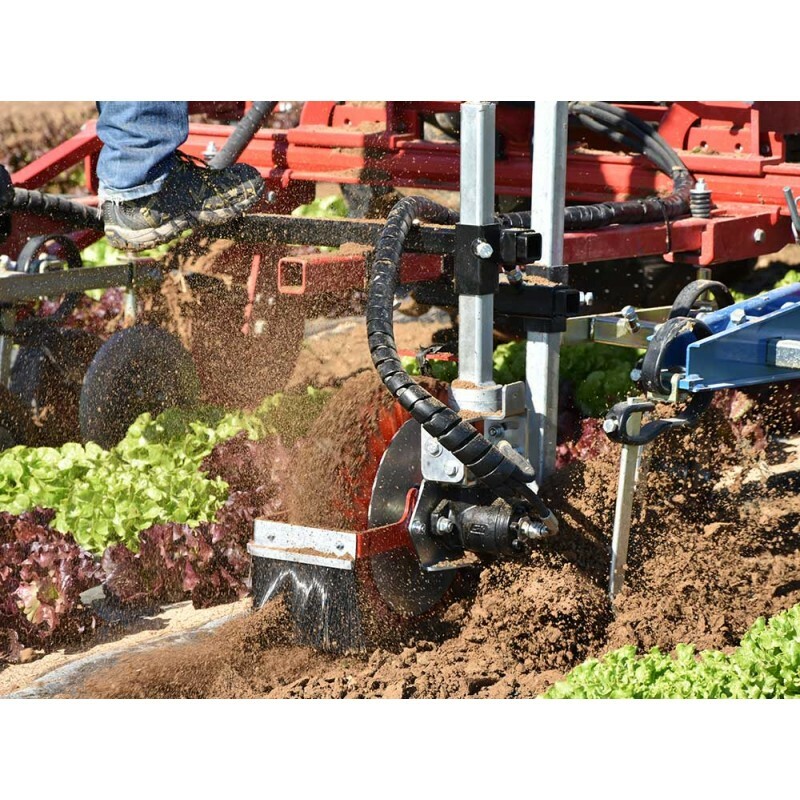 The Terrateck brush hoeing machine can be used to perform precise mechanical weeding in a single pass that removes weeds by the mechanical action of the hydraulic brush. 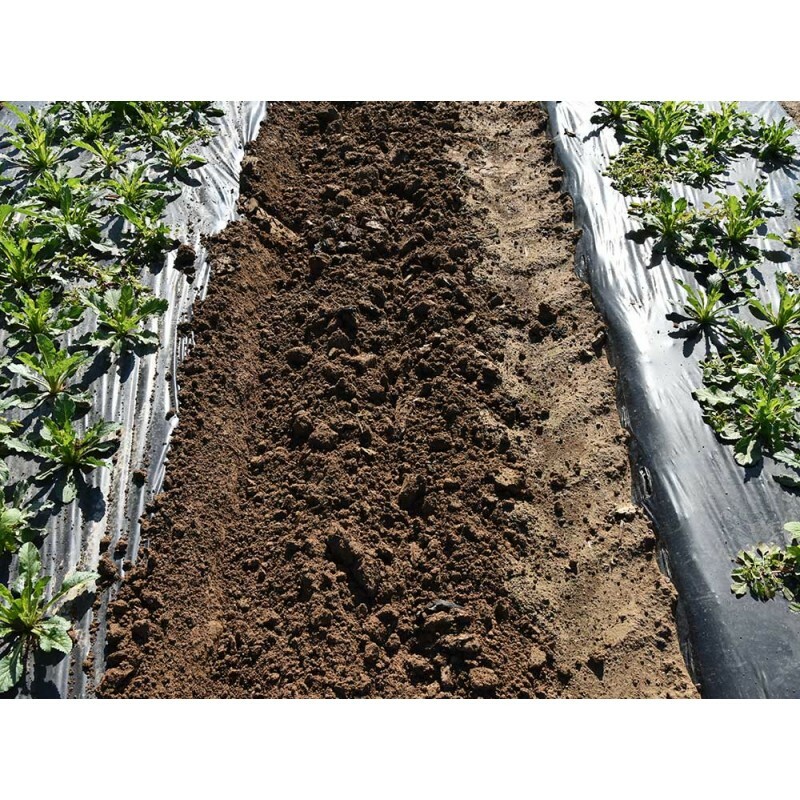 This keeps the strips of plastic mulch clean and requires no manual weeding, which can often be physically demanding and cause significant musculoskeletal disorders.